This Garmin patent directed towards a navigation device has been rated one of the most influential design patents in the field of clocks and watches and other measuring instruments, checking and signalling instruments. 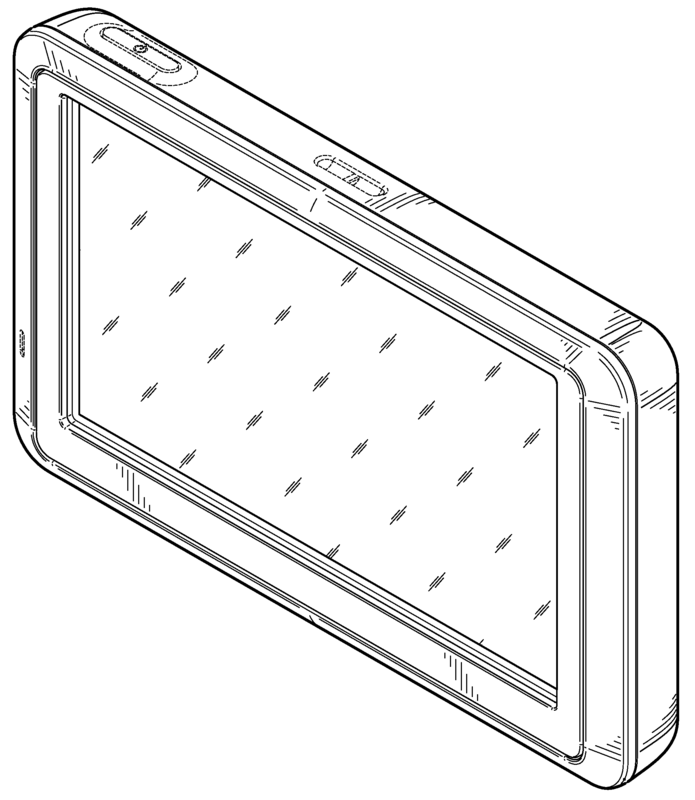 Garmin Ltd. was awarded U.S. Patent D611364 entitled “Navigation device” on March 9, 2010. The patent has been cited 126 times by other U.S. patents, which places it among the most cited design patents awarded since 2010 according to our law firm research. Garmin filed this patent on February 26, 2009 giving it a processing time of 376 days (compared to an average processing time of 351 in the field). They have a total number of 252 patents. The first named inventor is Warren R. Stevens of Olathe, KS. The patent was allowed by primary examiner Antoine D Davis. Patentability Searches – Determine the patentability of your inventions. Freedom to Operate Searches & Opinions – Identify patents may give you potential infringement issues (including in the clocks and watches and other measuring instruments, checking and signalling instruments field). Non-Infringement Opinions – Determine if your product infringes a competitor’s patent. Patent Invalidity Searches & Opinions – Find prior art to invalidate a competitor’s patent. “Patent Fence” Strategies Against Competitors – Patent potential improvements to your competitors’ products to prevent them from improving their technology – and provide you with counter-ammunition if a competitor should attempt to enforce a patent against your company. Patent Avoidance Product Redesign Services – If your product infringes on a patent, you can redesign the product to avoid infringing on a competitor’s patent and thereby potentially avoid costly litigation and/or post grant proceedings. U.S. Provisional Patent Applications – Receive cost-effective “patent pending” status for your invention. U.S. Non-Provisional Patent Applications (Utility) – Apply for patent protection on the structural and functional aspects of your invention. U.S. Design Patent Applications – Apply for patent protection on the ornamental appearance of your invention. PCT International Patent Applications – Apply for international patent protection for your invention. Foreign Patent Protection – We work with foreign legal professionals worldwide to protect your foreign patent rights. The information on this attorney website is for general information use only. Nothing on this or associated pages, documents, comments, answers, emails, or other communications should be taken as legal advice for any individual case or situation.